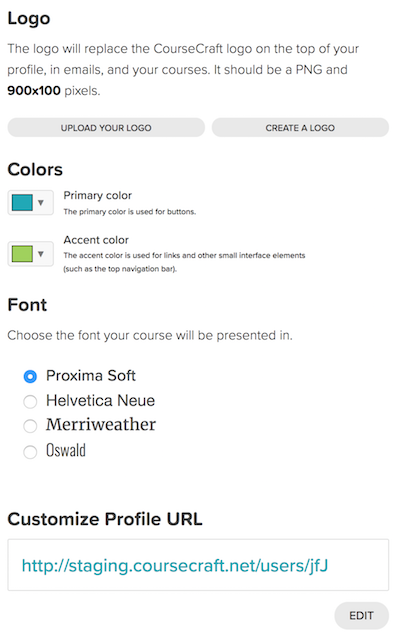 Brand your course with your own logo and colors. This is a Club feature! Be sure that you're subscribed to take advantage. You'll find these options under creator profile. 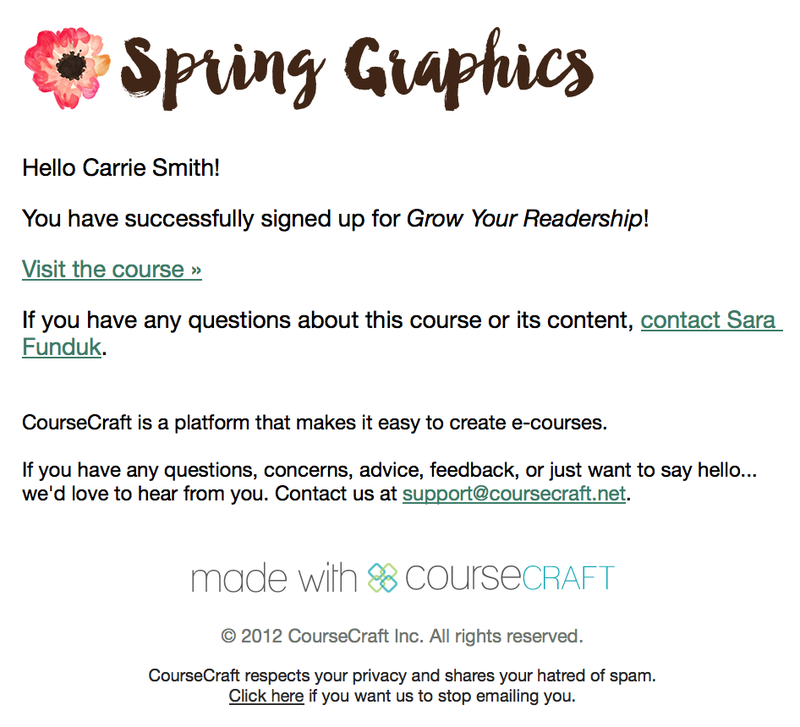 The logo you upload will replace the CourseCraft logo at the top of all course pages and be used in emails to your participants too. If you have your own logo to upload, make sure it is 900px by 100px. A transparent PNG is best. 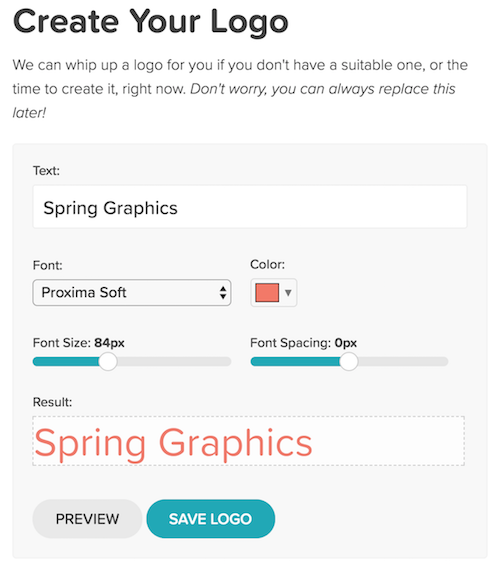 If you don't have a suitable logo, you can use our logo generator tool to create one for you. Choose the text, font and color. Then hit the 'preview' button to see what it looks like. After that you can play with the font size and spacing until it's perfect. Remember: Anything outside the dotted lines in the preview box will be cut off! 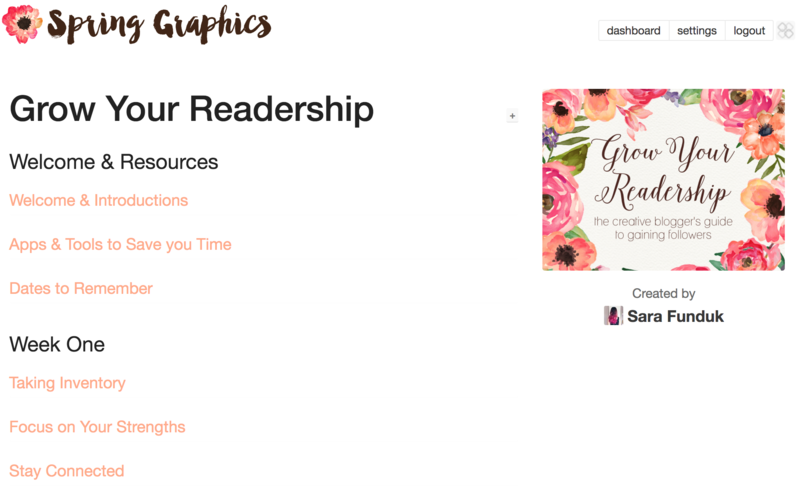 Your custom colors, font and logo will appear on most participant facing pages. 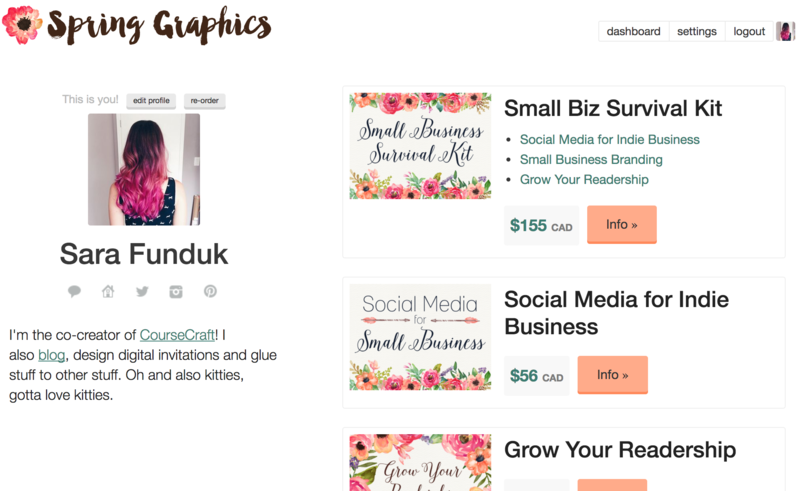 Basically, everything that is directly related to your courses will have your custom branding. 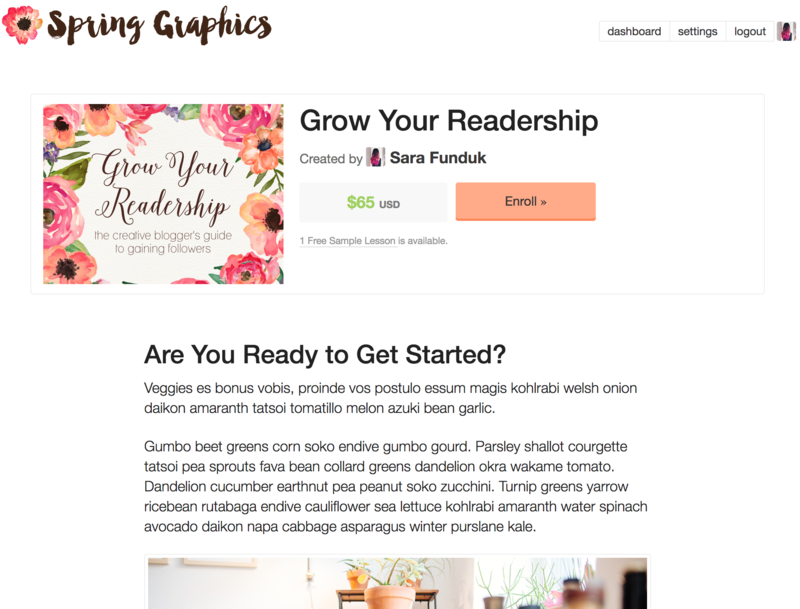 We don't change the branding for the whole site because participants could be enrolled in multiple courses all with different branding at the same time.